Ottawa, Ontario, Canada – November 17, 2016: Today, in honor of its 50th anniversary, CBIE recognized four Libyan students for their tremendous academic performance and for giving back to their communities in Libya and North America. Dr. Basel Alashi, CBIE Vice-President, International Partnerships and Ms. Debbie Grantham, CBIE Director, International Scholarships, presented the awards to students at a ceremony that took place as part of CBIE’s Annual conference, held this year at the Westin Hotel in Ottawa under the theme, “Internationalization for All” with a spotlight on ‘Internationalization at Home.’ The award included a plaque, a certificate, and a cash prize of $2000 CAD. 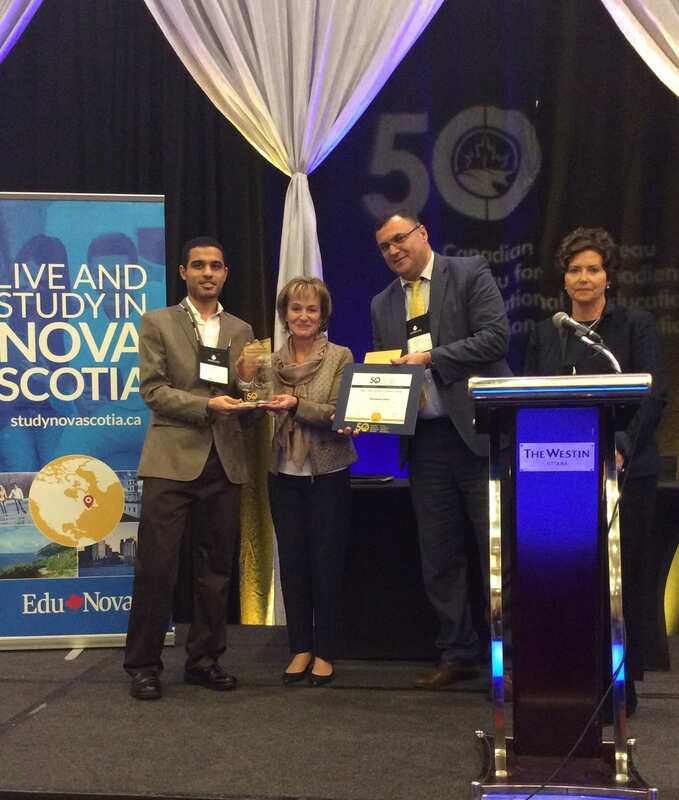 The 2016 CBIE Libyan Student Excellence Award competition was open to all students studying under the Libyan-North American Scholarship Program (LNASP), a joint collaboration between the Libyan Ministry of Education, CBIE, and Libyan students and host institutions throughout Canada and the United States. A total of one hundred students were nominated. CBIE’s Annual Conference is Canada’s largest conference on international education and has become the meeting place for international education professionals. The Conference draws around 850 delegates from more than 35 countries worldwide. International educators and stakeholders from across Canada and around the world have gathered in Ottawa this week to participate in the conference, held November 13 – 16, 2016.